Most of us usually think of a forest as a group of trees, but it is a complex, living community. Beneath the forest canopy dwell interdependent populations of plants and animals, while the soil that forms the forest floor contains a large variety of invertebrates, bacteria and fungi which play essential roles in cycling nutrients in the soil and the forest. 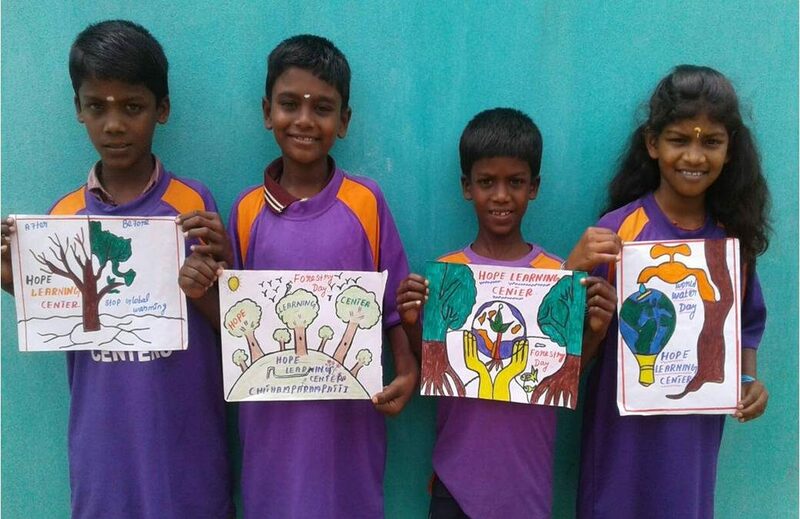 World Forestry Day occurs each March and HoPE Learning Center children are encouraged to make posters on recycled materials and plant trees, including precious Moringa trees, around their villages. They are also taught to make plant graftings. 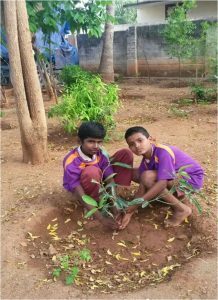 Each child makes one grafting after they are asked to take care of each plant. 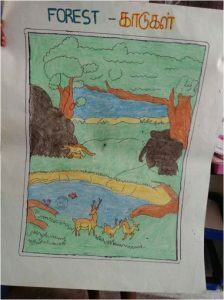 The teachers explain to the children about the importance of trees and effects of deforestation. They enjoy this session and plan to repeat it during future years. It doesn’t take much to bring HoPE and education to future generations. 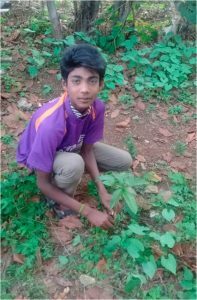 Right now, only $10 per month covers the costs of HoPE Center sponsorship, tutoring, lessons, materials, daily mini meals and world knowledge during special holidays, like World Forestry Day. 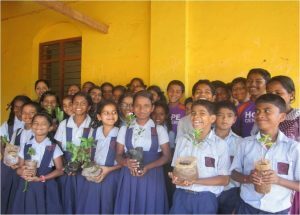 For only $350 per month, you can sponsor an entire HoPE Learning Center filled with 40 children (and possibly 40 new trees as well)!